Results of a study in the Clinical Journal of the American Society of Nephrology regarding Kidney Disease Patients in End State Renal Disease ESRD were quite promising. This recent study shows that doctors in Germany looked at two nutrients in cocoa, catechin and epicatechin. These are in a class called flavanols. The flavanols are thought to be heart healthy. The results of the Nephrology study show exciting results for kidney disease patients in End State Renal Disease or with concerns of ESRD. The results of this study give hope to Kidney Disease Patients everywhere and to those already on dialysis or awaiting a kidney transplant. It may even provide results for those with heart disease according to the study. The key is to avoid processed chocolate. There is only one unheated high flavanol chocolate that I am aware of, it is called Beyond Healthy Chocolate. For the study, the group that received the CF and not placebo, received 900 mg of CF per study day. Beyond Healthy Chocolate Company has a product called Activ. One fluid ounce of Beyond Healthy Chocolate Activ per day results in 1,892 mg flavonoids, significantly more than in the study. Although recommended to mix with water to activate the product, it can also be used in powder form as needed even sprinkling on food if necessary. Healthy Chocolate Co. recommends 3 ounces per day for a total of 5,676 mg flavonoids. The total ORAC6 (antioxidant) count is 160,675. Activ can be ordered direct at GoColdPressed.com. 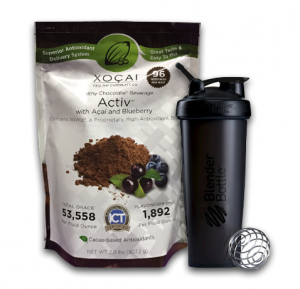 A free Blender Shaker bottle is provided with each Activ Pack which provides 96 1 ounce servings. This makes it easy to take Activ regardless if you travel or have a busy schedule and are on the go. When ordering at the above site you will receive free shipping. You also qualify for customer rewards which will give you free product equal to your monthly order every third month for the first year. 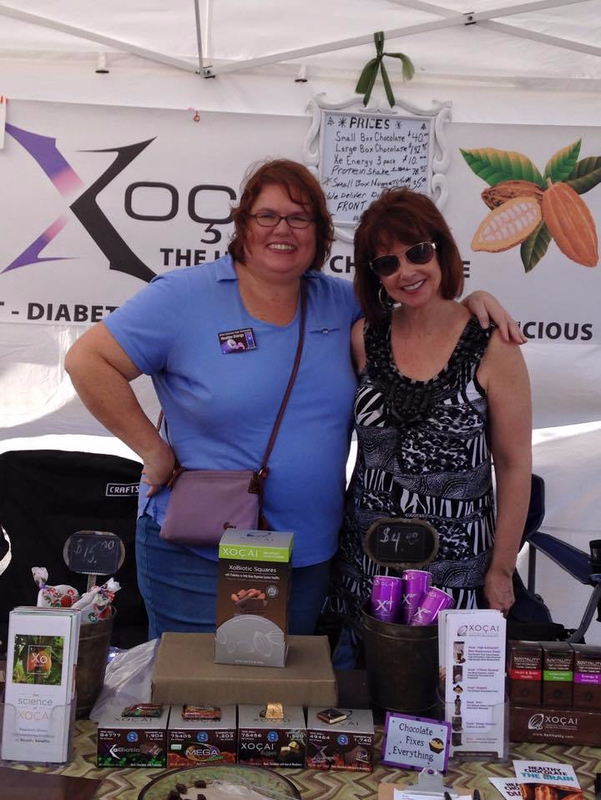 Questions regarding Activ or any of the other Beyond Healthy Chocolate flavanol rich products, please contact Lynette Henk of Three Sons Marketing LLC. Please be sure to share this with everyone you know suffering with Chronic Kidney Disease or Heart Disease. These statements have not been evaluated by the Food and Drug Administration. This product is not intended to diagnose, treat, cure or prevent any disease. The information provided on this site is intended for your general knowledge only and is not a substitute for professional medical advice or treatment for specific medical conditions. Always seek the advice of your physician or other qualified health care provider with any questions you may have regarding a medical condition. 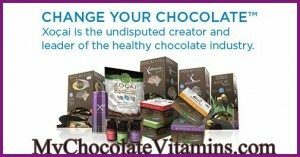 The news agencies on this page do not endorse Xoçai and the subject matter of the referenced reports are on the health benefits of dark chocolate and cocoa and not the product Xoçai.